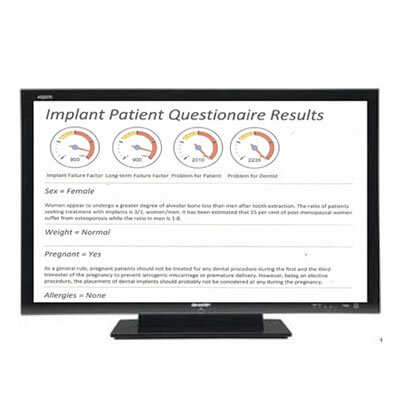 The Patient Risk Evaluation Program (PREP) is simple to use, comprehensive, and offers a “solution” to a daily problem for the general and implant dentist. The PREP software program guide evaluates and assesses the risk factors of a patient and prints out a summary with a description of any of the health problems indicated. This print out can be used as part of the Informed Consent to prevent unwarranted legal problems.